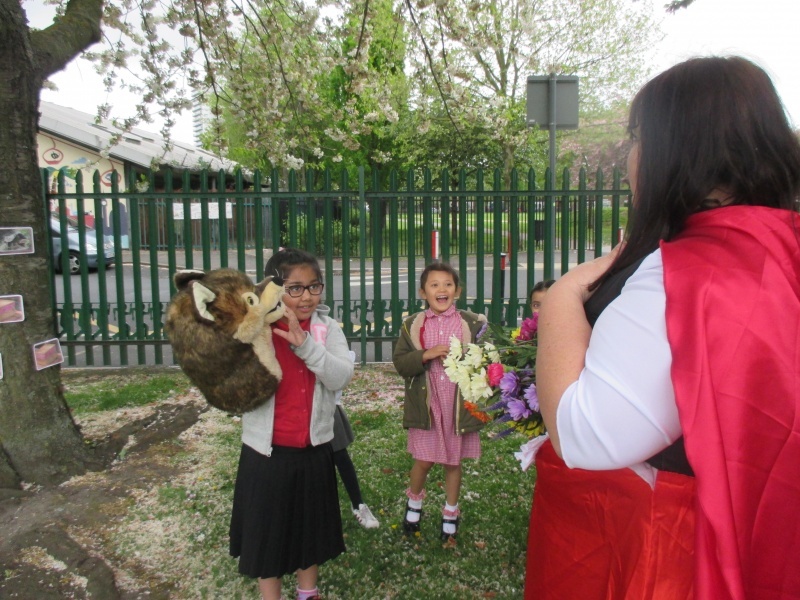 For our new topic of Little Red Riding Hood, both reception classes went on a story walk. 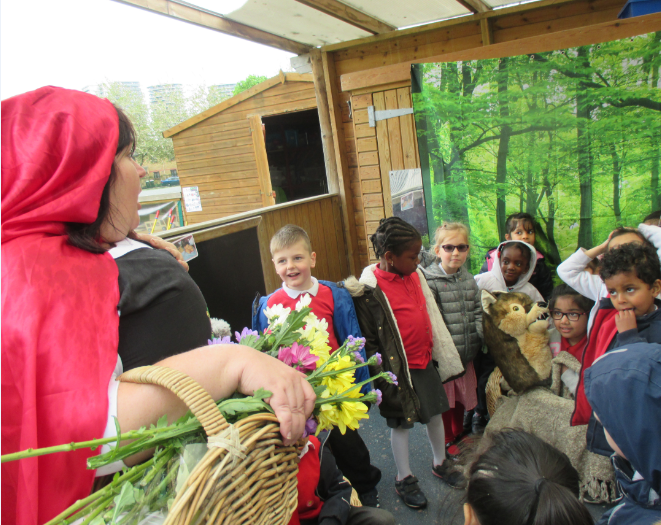 We met Red Riding Hood in the forest. 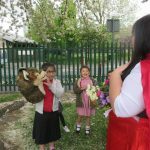 We helped her pick flowers for Grandma. 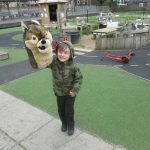 We warned her not to talk to strangers but unfortunately she didn’t listen. 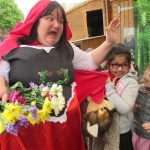 The wolf pretended to be Grandma and tried to gobble up Red Riding Hood. 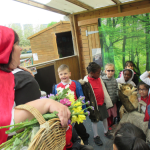 Luckily the Woodcutter heard her screams and saved her. 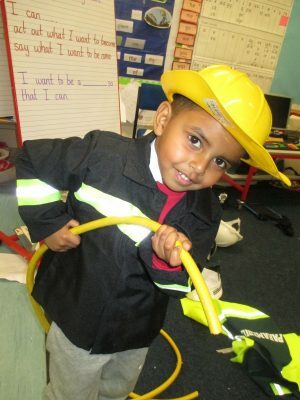 For Citizenship Week in Reception we thought about the jobs that we would like to do when we grow up. 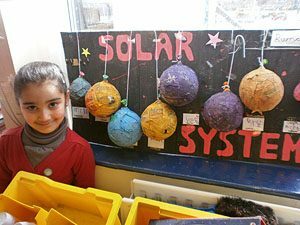 We dressed up as our future selves. 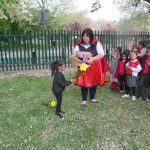 A professional dancer came in and told us about the skills that are needed to be a dancer. 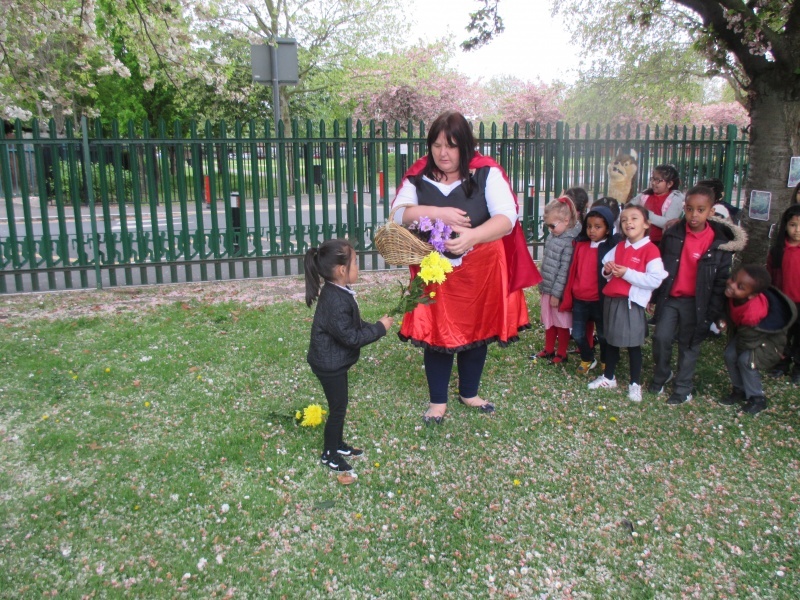 She even taught us a dance. 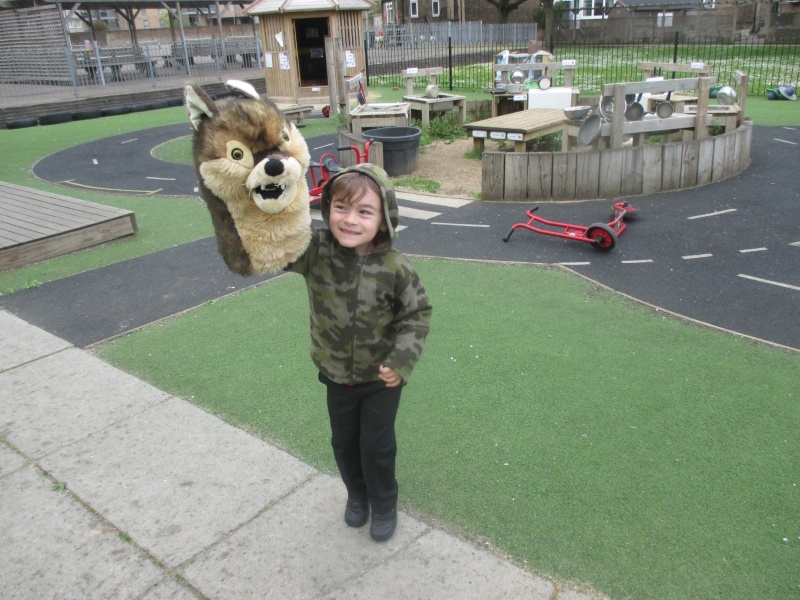 Our Reception classes enjoyed going on a bear hunt. 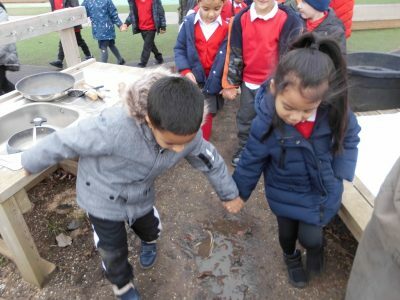 We went through the mud, squelch, squerch, through the forest, stumble, trip and finally we found the bear in his cave. 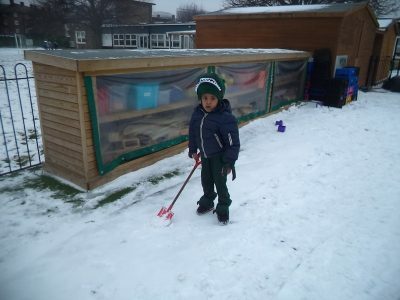 In reception we made the most of actively exploring the snow. 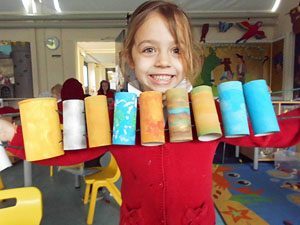 We patted, rolled and shaped it using our hands and other tools. 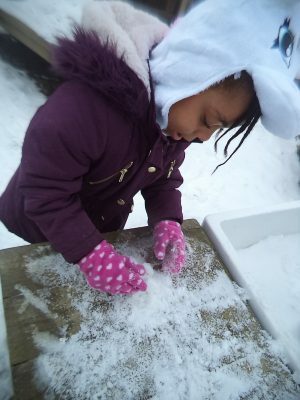 We made predictions and observations of the changes that occurred – we had much fun in the swirling, whirling snow storm. 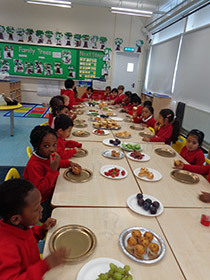 In Reception we have been learning about the story, ‘The Tiny King’ and we had our very own royal feast. 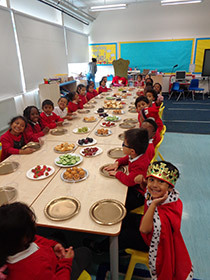 The children tasted a range of delicious healthy foods and got to sit on the Tiny King’s throne! 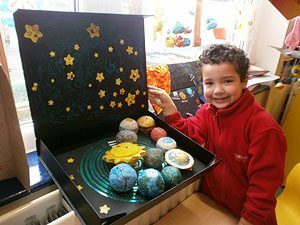 We have been learning about the story ‘How to Catch a Star’. 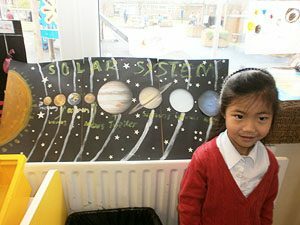 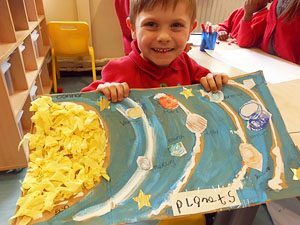 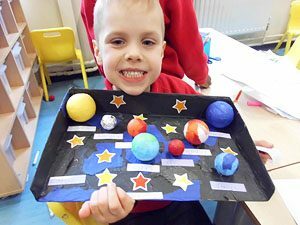 We researched the solar system and collaborated with our parents to make our own.